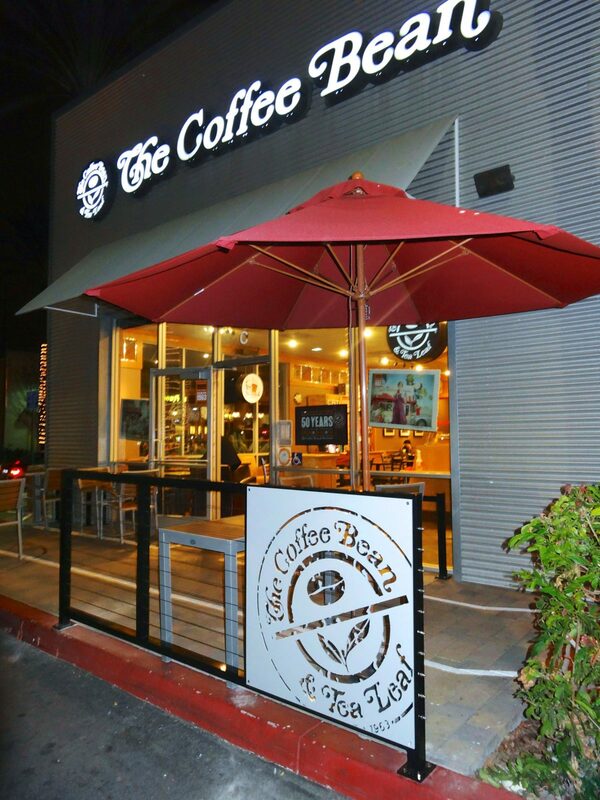 The Coffee Bean & Tea Leaf is an American coffee chain founded in Los Angeles in September 1963. Since then, Coffee Bean has opened various locations domestic and international. 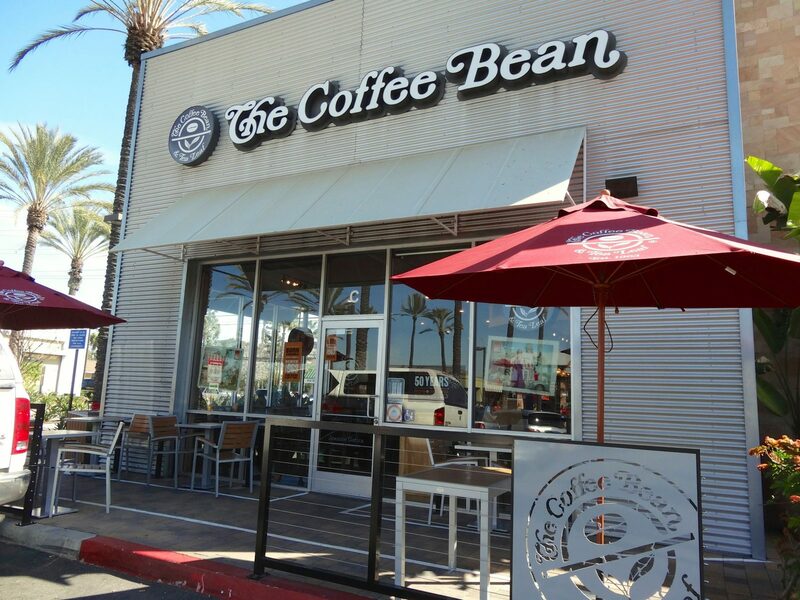 Within the United States, Coffee bean has locations in all major cities such as San Francisco, Las Vegas, and Washington D.C. Overseas, Coffee Bean has opened its doors in Australia, Brunei, China, Saudi Arabia and more. 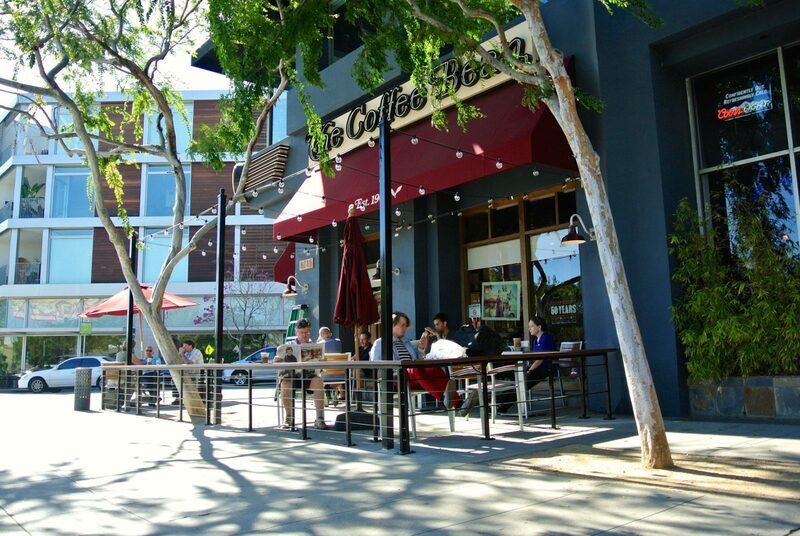 Coffee Bean offers free Wi-Fi access to its customers and has become one of the leading coffee shops in Southern California. 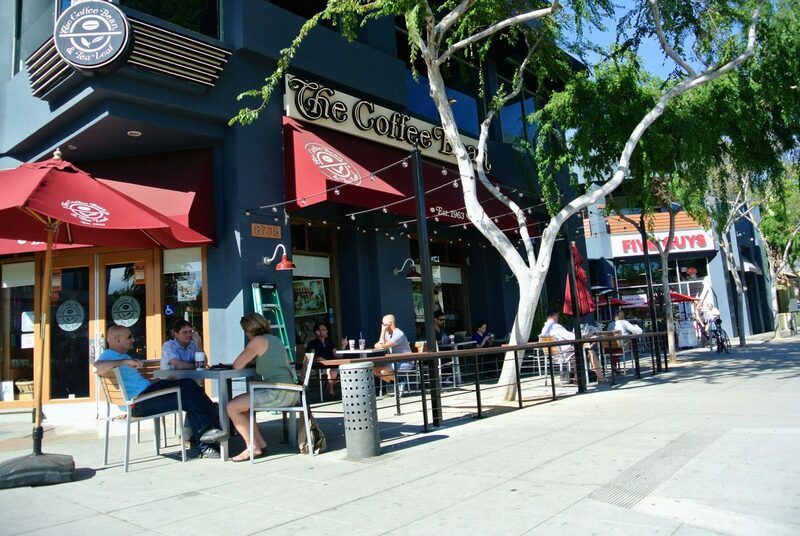 King Iron Works have provided its services to Coffee Bean, helping them improve the patio landscape of their West Hollywood location. King Iron Works fabricated an outside railing to help accommodate more Coffee Bean customers and provide an area where they can enjoy their coffee or tea outdoor. The design of the railings included a flat top wood surface for the customers to use as a table. 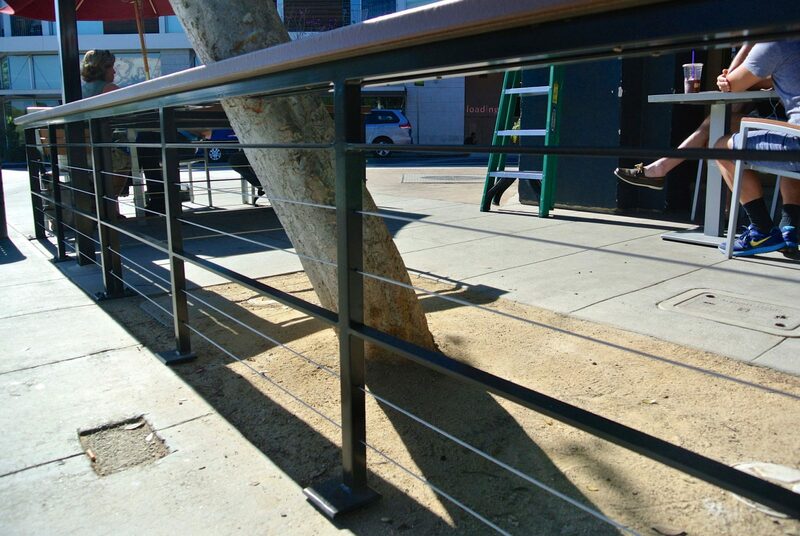 The railings also have horizontal steel cables, projecting the modern and stylish vibe that Coffee Bean is known for. While working on the West Hollywood project, we were called by another Coffee Bean contractor who was working for the Orange location. Again, we were asked to fabricate custom, wrought iron railings. This time around, we were also asked to do a cut out of the Coffee Bean logo. As a franchise, we had to respect the guidelines in terms of making the logo. The final product came out great. The entire process with Coffee Bean had been seamless and smooth sailing. King Iron Works was excited to experience this venture with an international café. We were able to provide a nice, outdoor patio area for their customers. 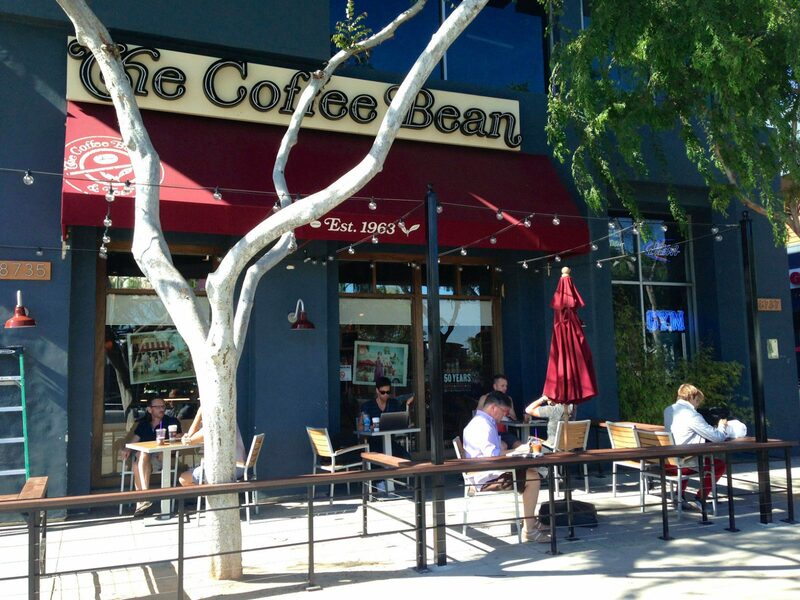 Next time you visit a Coffee Bean & Tea Leaf location, go ahead and sit outside to enjoy a nice breeze. While doing so, check out their custom, wrought iron railings- it just might be King Iron Works’ artistry.